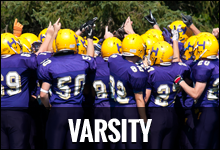 "An uncompromising respect for rules, opponents, officials, teammates, and tradition"
Check out our fantastic video! 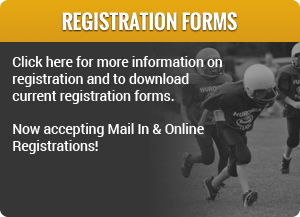 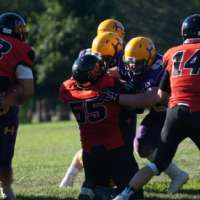 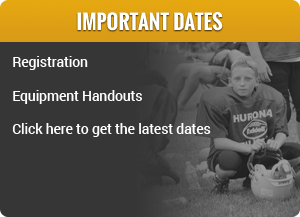 The Huronia Stallions Varsity team overcame a late 24-14 fourth quarter deficit to defeat the Oshawa Hawkeyes 27-24. 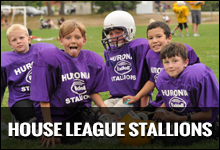 The Huronia Stallions Varsity team are now 4-2-1 on the season after earning a 13-13 tie with the undefeated and first place Scarborough Thunder. 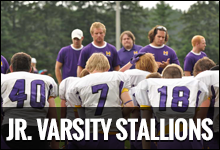 The Stallions fell behind 6-0 after the Thunder returned an early punt for a touchdown. 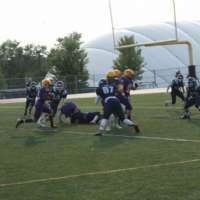 The Huronia Stallions Varsity team improved to 4-2 on the season with a convincing 20-0 victory over the Cornwall Wildcats. 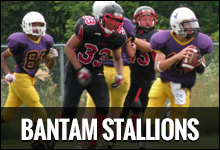 The Stallions offence generated two scores on Justin Janicki and Michael Cassano touchdown runs.